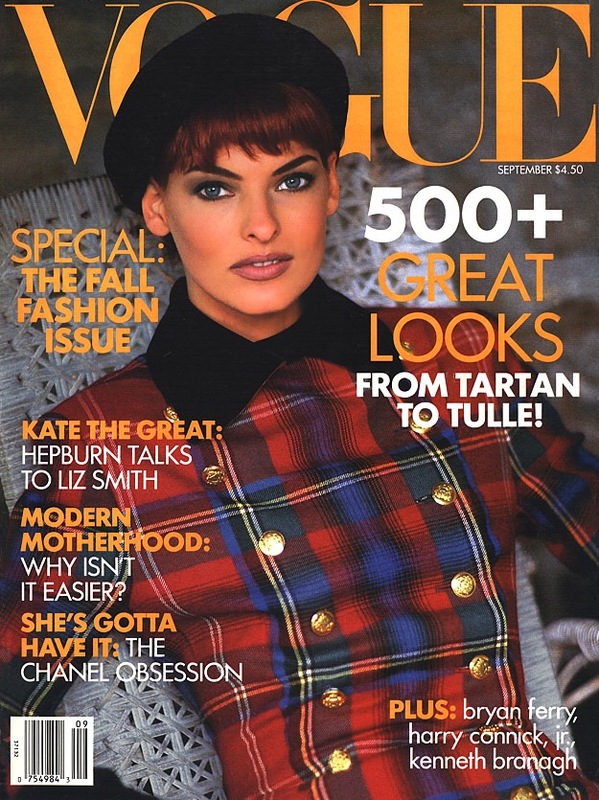 Linda Evangelista in Ralph Lauren, Vogue, September 1991. Photo: Arthur Elgort. Editor: Grace Coddington. Image: TFS. Tonight at New York Fashion Week, Ralph Lauren celebrates his company’s 50th anniversary. Here’s a look at highlights of Ralph Lauren patterns from the ’70s to the ’90s. 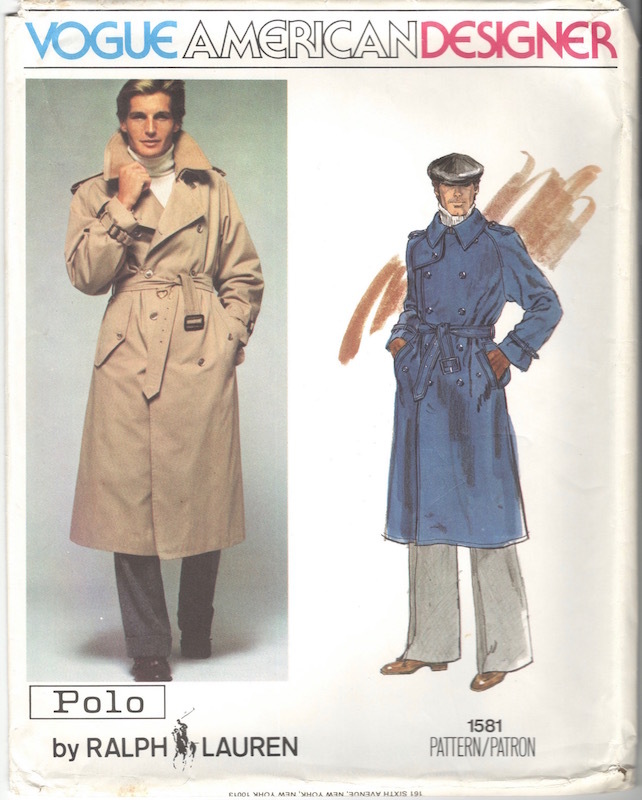 Ralph Lauren started out in menswear, and Vogue Patterns’ first licensing with the brand was for men’s designs. 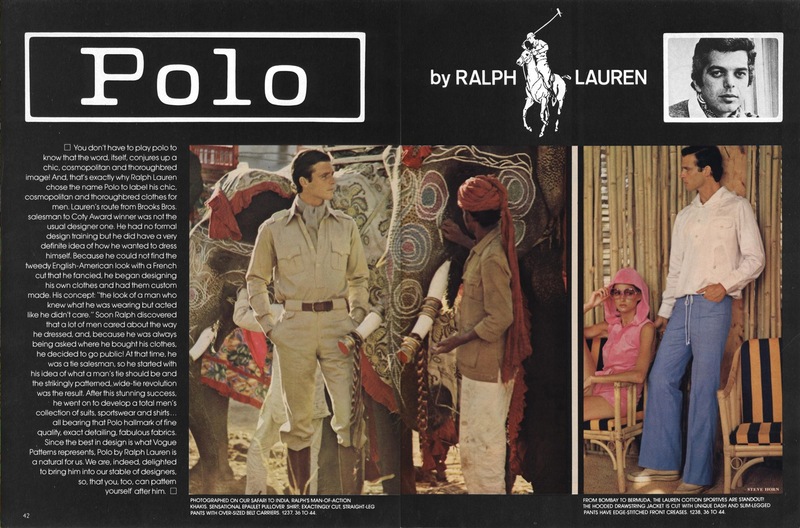 The company released its first Polo by Ralph Lauren patterns in the summer of 1975. 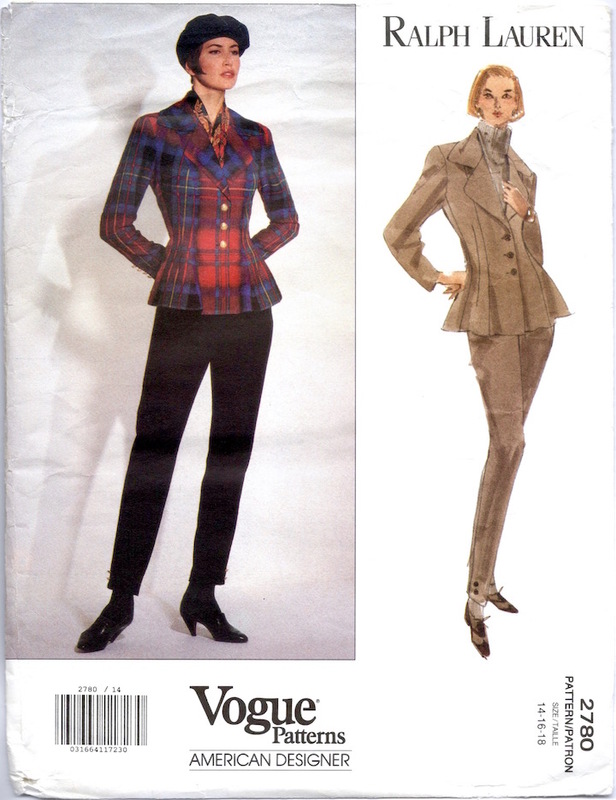 Vogue 1237 and 1238 by Polo Ralph Lauren in Vogue Patterns, May/June 1975. Photos: Steve Horn. Image: Make Mine Vogue. America the Beautifuls. 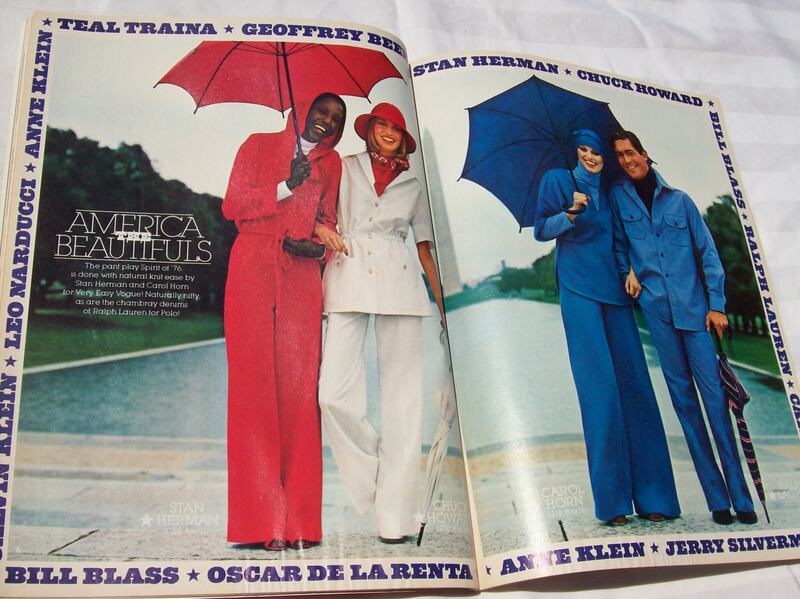 Vogue Patterns, January/February 1976. Image: Etsy. Vogue’s licensing of Ralph Lauren women’s wear began in 1979. The earliest Ralph Lauren women’s patterns are for Annie Hall and Western looks like those shown in his Fall 1981 Santa Fe collection—prairie skirts, fringe, and serapes worn with cowboy boots and concho belts. Clotilde in Ralph Lauren’s Fall 1981 ad campaign. Photo: Bruce Weber. Image: Ralph Lauren. 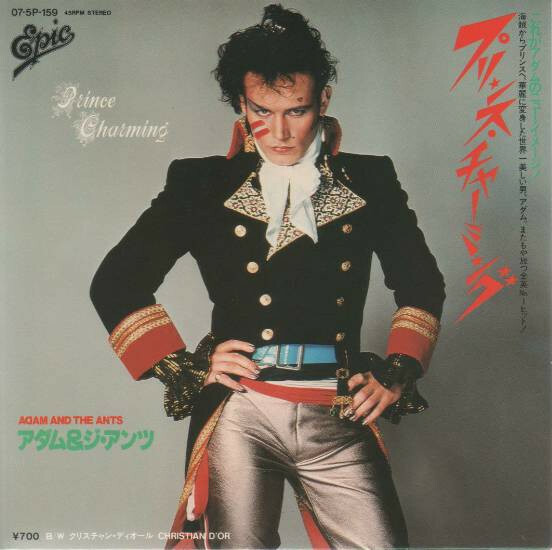 Vogue 2881 by Ralph Lauren (ca. 1981) Image: eBay. 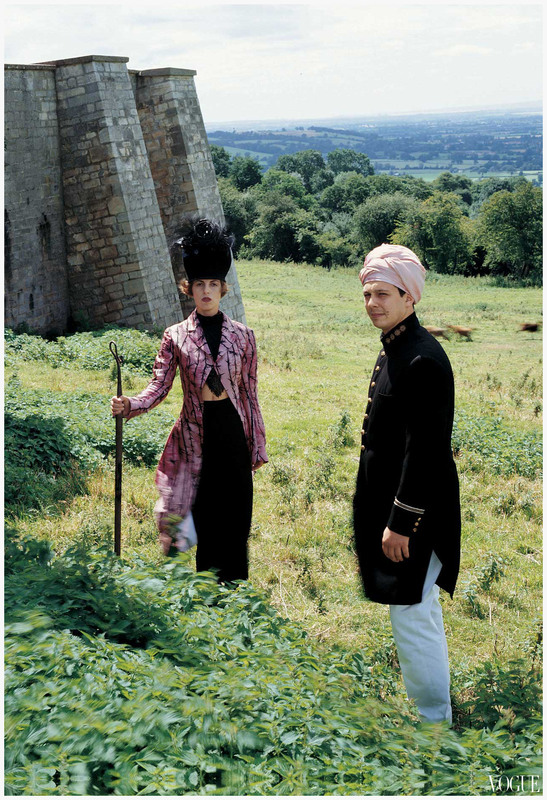 Ralph Lauren’s Spring 1984 Safari collection is said to have been inspired by Out of Africa, perhaps with a dash of Picnic at Hanging Rock. 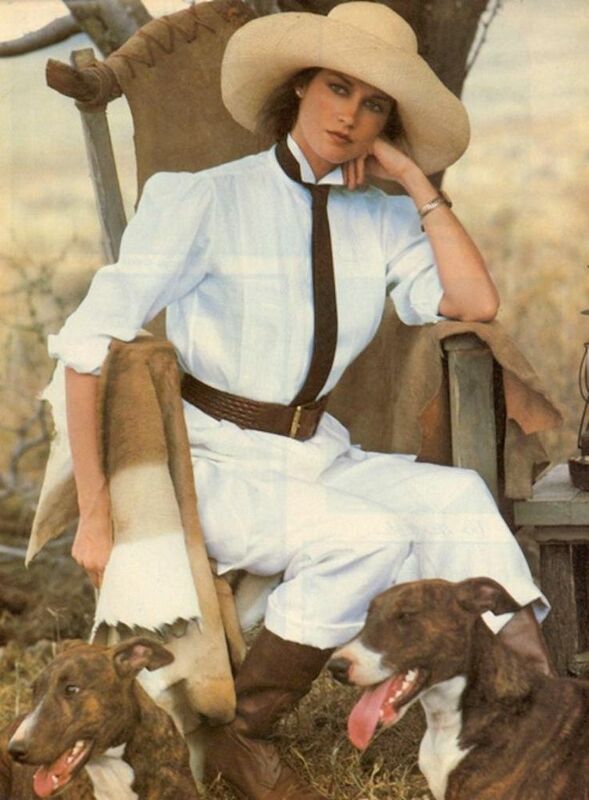 Clotilde in Ralph Lauren’s Spring 1984 ad campaign. Photo: Bruce Weber. Image: Pinterest. Brooke Shields in Ralph Lauren / Ralph Lauren for Hat Attack, Vogue, May 1984. Photo: Richard Avedon. Image: Pinterest. Vogue 1547 by Ralph Lauren (1985) Image: Etsy. Ariane Koizumi in Vogue 1547 by Ralph Lauren, Vogue, May 1985. Photo: Elisabeth Novick. Image: TFS. Late ’80s Vogue Career designs by Ralph Lauren feature British model Saffron Aldridge, then the face of the brand. Vogue 2255 by Ralph Lauren (1989) Image: Etsy. 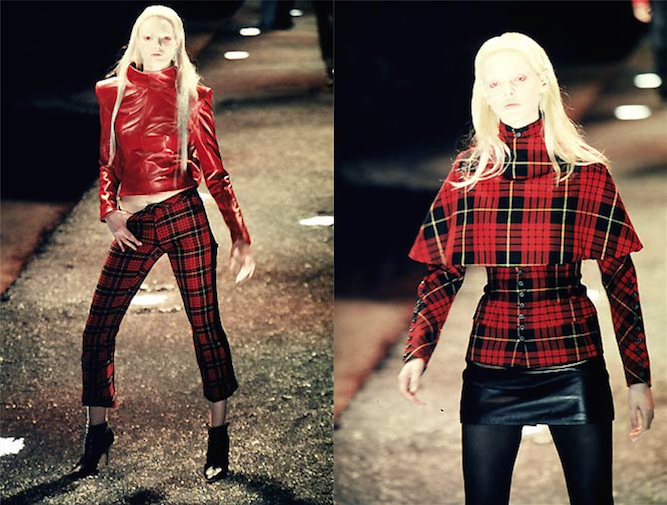 Tartan was one of the main takeaways from Ralph Lauren’s Fall 1991 collection. (As L’Officiel observed, “For Ralph Lauren, tartan isn’t a fashion, it’s a lifestyle.”) Vogue released two patterns from this collection, a dress and trouser ensemble. 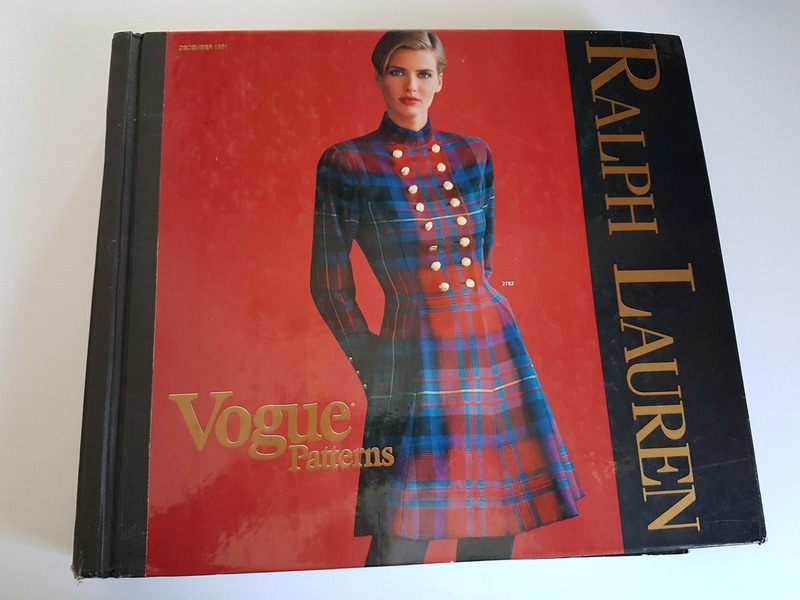 Vogue 2782 by Ralph Lauren (1991) Image: eBay. 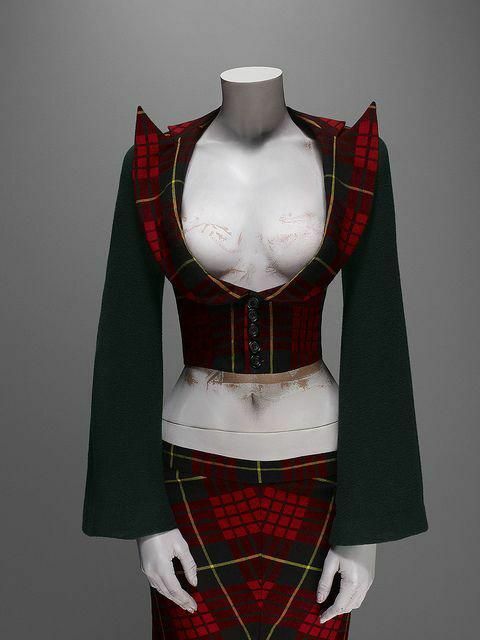 Although the envelope for the dress shows it in solid red, the tartan looks had pride of place on the holiday covers, both Vogue Patterns Magazine and the December catalogue. Cathy Fedoruk in Ralph Lauren, Vogue Patterns, November/December 1991. Photo: Christopher Micaud. Image: Etsy. Ralph Lauren dress on the cover of the Vogue Patterns catalogue, December 1991. Image: Etsy. 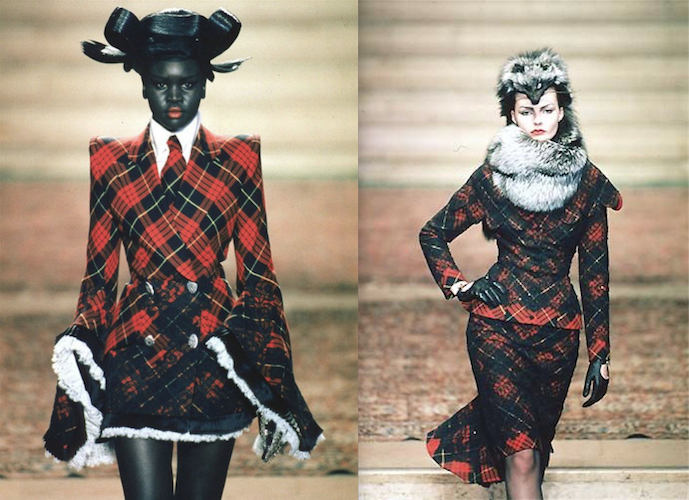 The tartan pieces had already been promoted that same season in the Fall ’91 advertising campaign and a Grace Coddington / Linda Evangelista cover and editorial (“A Shot of Scotch”) in Vogue’s September issue. Ralph Lauren ad campaign, Fall 1991. Model: Kim Nye. Image: Pinterest. 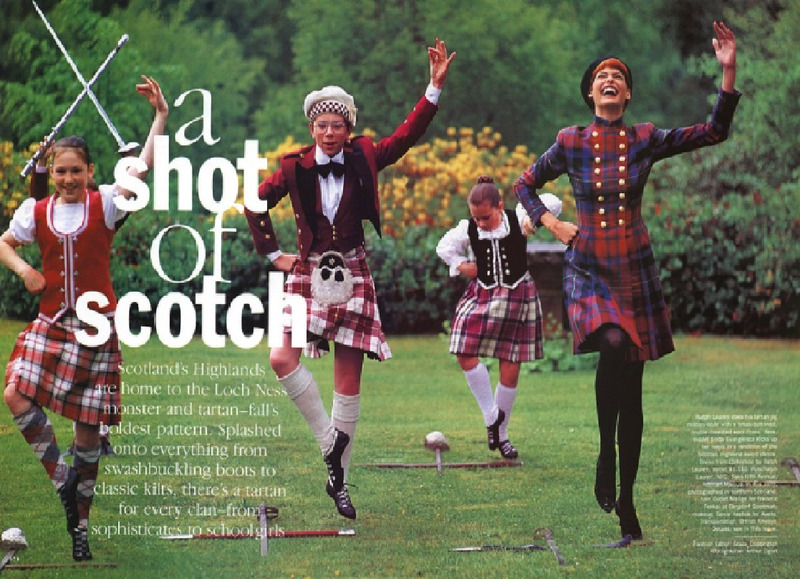 “A Shot of Scotch,” September 1991. Photo: Arthur Elgort. Editor: Grace Coddington. Image: Pinterest. 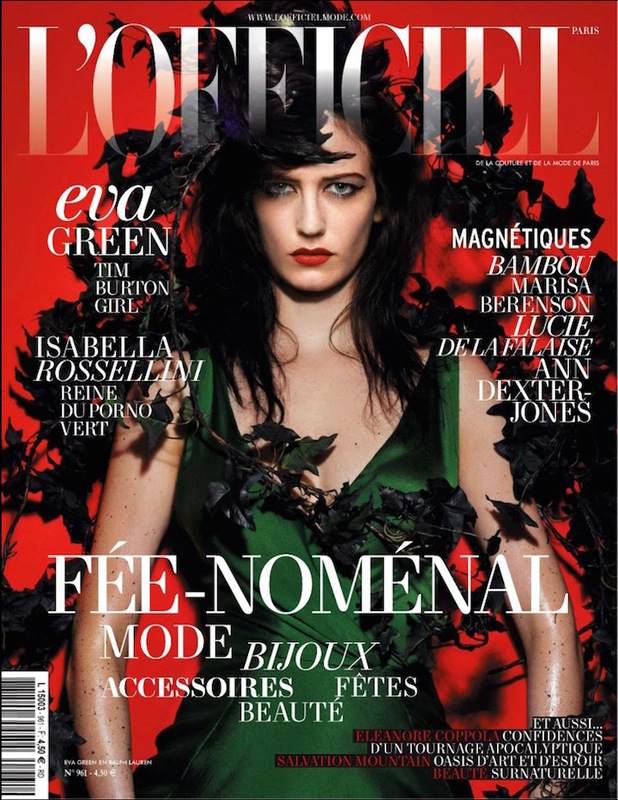 Eva Green in Ralph Lauren, L’Officiel, Dec/Jan 2011-2012. Photo: Satoshi Saïkusa. Editor: Monica Pillosio. 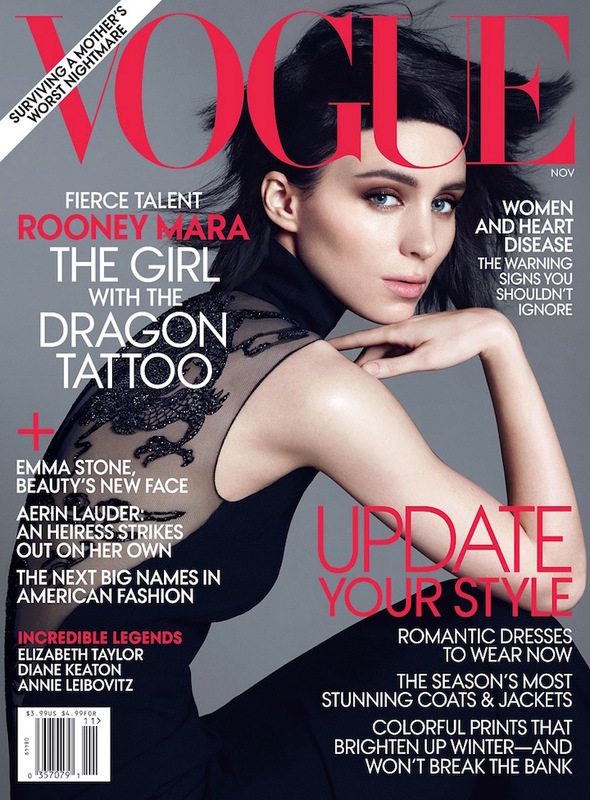 Rooney Mara in Ralph Lauren, Vogue, November 2011. Photo: Mert Alas and Marcus Piggott. Editor: Tonne Goodman. Vivien Solari in Anne Klein’s Fall 2015 ad campaign. Photo: Nathaniel Goldberg. Editor: Laura Ferrara. Image: Instagram. 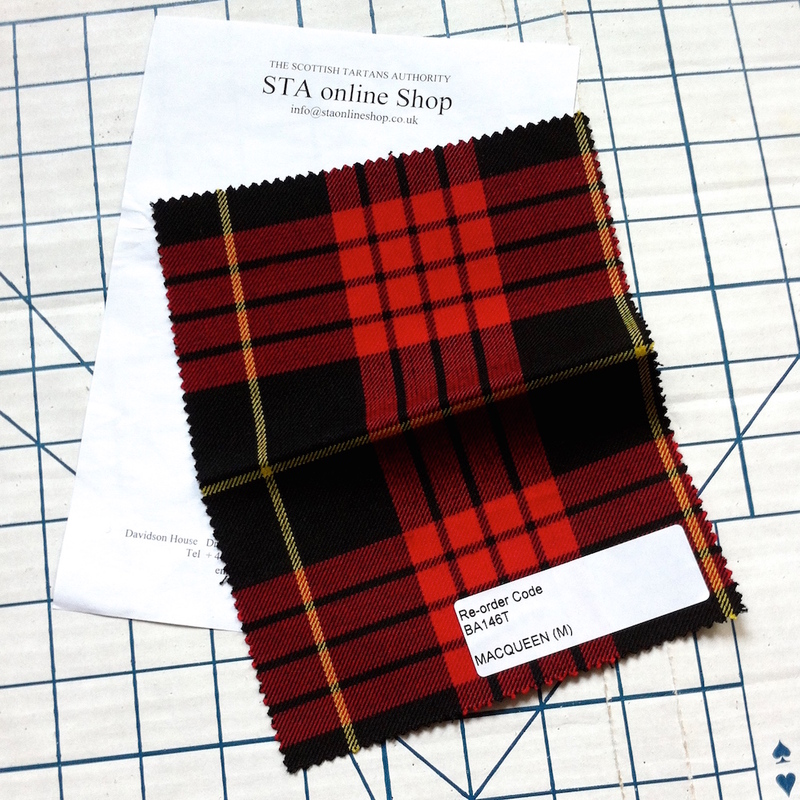 Have you seen the new Fall patterns? Scarlett Schoeffling in Vogue 1597 by Anne Klein, Vogue Patterns lookbook Fall 2018. Image: Issuu. Vogue 1597 by Sharon Lombardo for Anne Klein (2018) Image: McCall’s. Anne Klein Fall 2016 ad campaign. Photo: Annemarieke van Drimmelen. Model: Guinevere Van Seenus. Image: Behance. Vogue 1595 by Badgley Mischka (2018) Image: McCall’s. 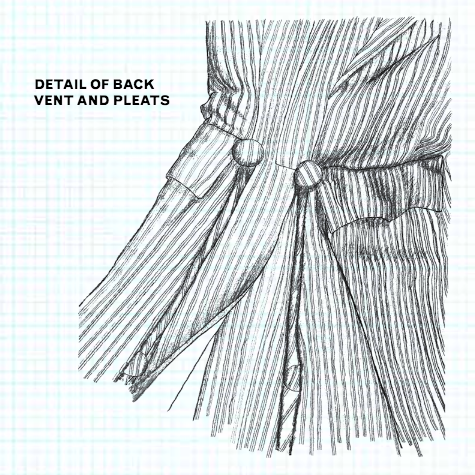 The original is a navy poly-spandex crepe. Navy crepe dress by Badgley Mischka. Image: Rent the Runway. Brocade with a rose gold sparkle is the star of this Badgley Mischka cocktail dress with pleated sleeve flounces. Vogue 1596 by Badgley Mischka (2018) Image: McCall’s. 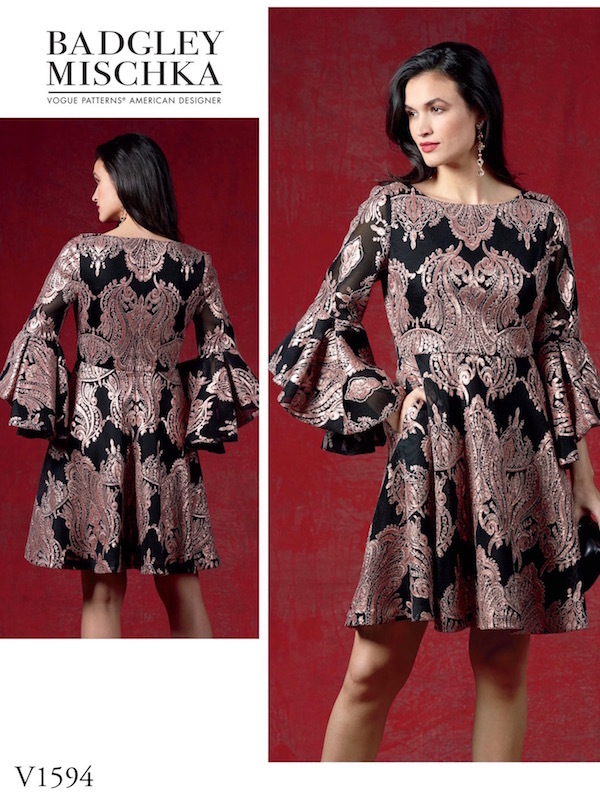 Detail, bell sleeve brocade cocktail dress. Image: Badgley Mischka. The flounce sleeve featured prominently in Badgley Mischka’s Fall 2017 collection—in black lace for the opening look. Two looks from Badgley Mischka Fall 2017. Photos: Umberto Fratini / Vogue Runway. Paco Peralta’s new design is an edgy LBD with two-way separating zipper. Vogue 1593 by Paco Peralta (2018) Image: McCall’s. 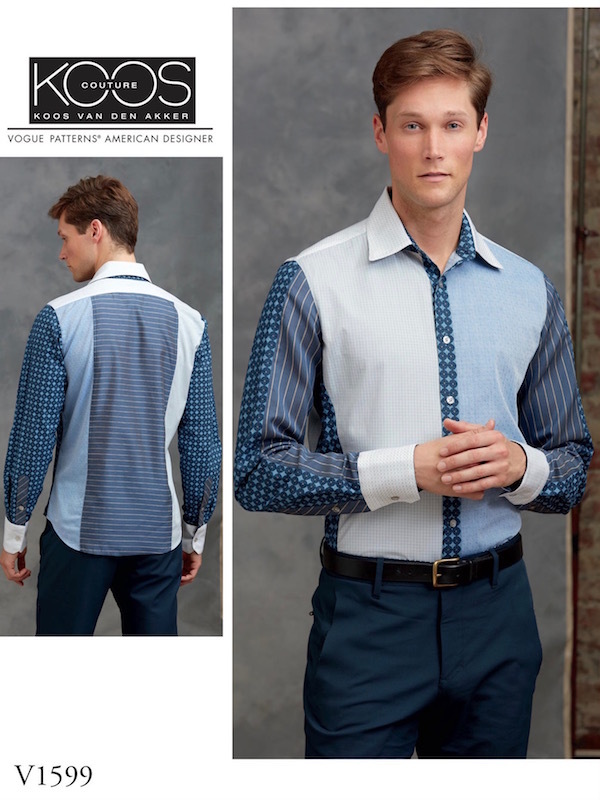 Plus, a men’s shirt from the team at Koos van den Akker. 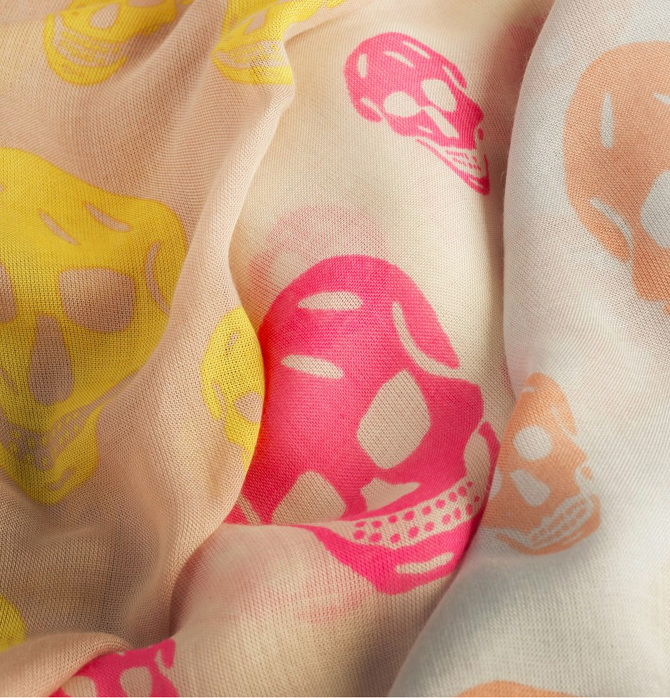 Make in a single fabric if print mixing isn’t your thing. Vogue 1599 by Koos van den Akker (2018) Image: McCall’s. Sketch by Alexander McQueen, Central Saint Martins MA graduate portfolio, Jack the Ripper Stalks his Victims, Fall/Winter 1992. Pencil on distressed paper with fabric swatches. 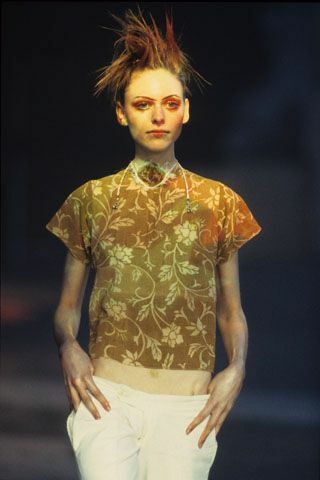 Image: Alexander McQueen. 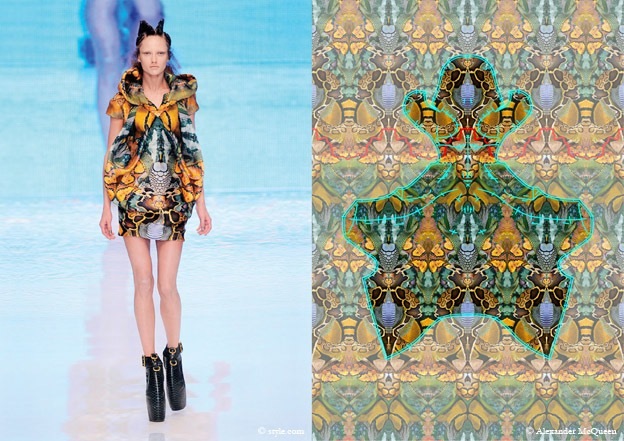 As part of this blog’s celebration of Savage Beauty in London, I’ll be devoting two posts to Alexander McQueen fabrics. (See my earlier roundup post here.) 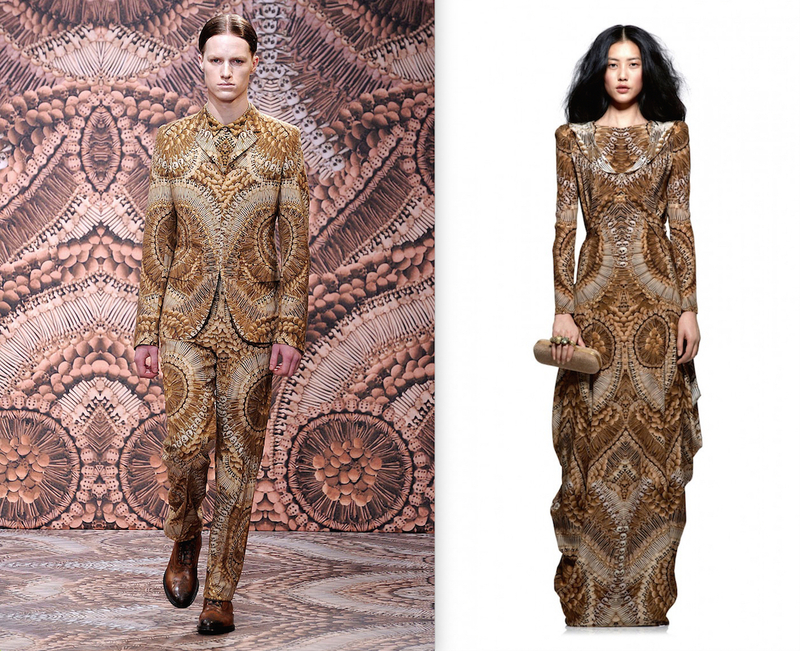 First: a look at McQueen’s distinctive prints. Coat, pink silk satin printed in thorn pattern by Simon Ungless, lined in white silk with encapsulated human hair, Alexander McQueen Fall/Winter 1992 (Jack the Ripper Stalks His Victims). Photo: Sølve Sundsbø. Image: Metropolitan Museum of Art. 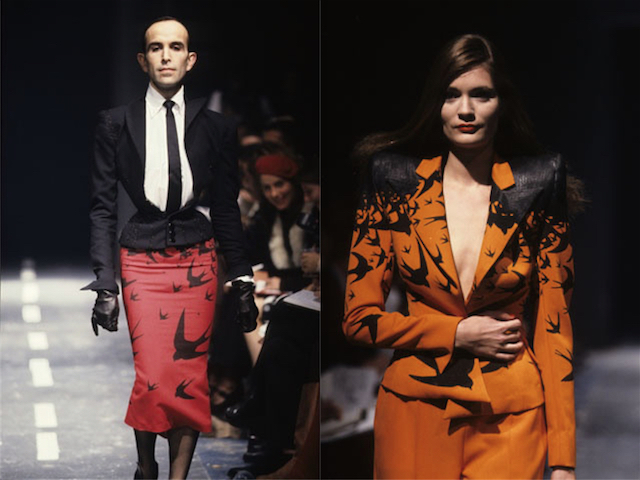 Two swallow print looks, Alexander McQueen Spring/Summer 1995 (The Birds) Models: Mr. Pearl and Plum Sykes. 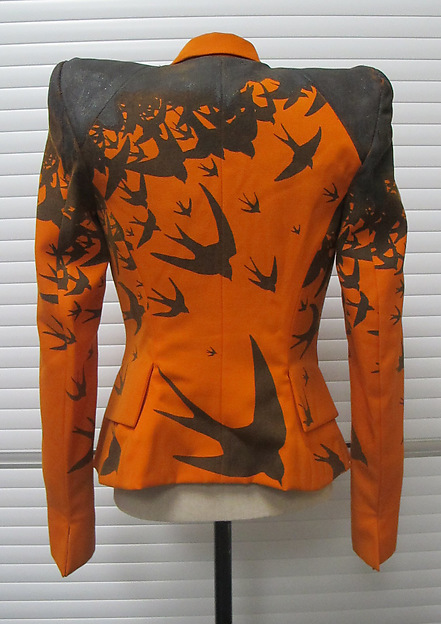 Silk jacket, Alexander McQueen Spring/Summer 1995 (The Birds). Image: Metropolitan Museum of Art. 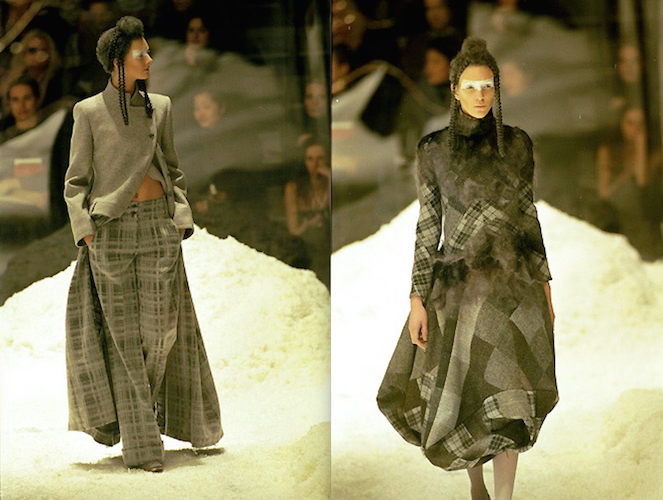 Ensemble featuring a Fleet Bigwood print for Alexander McQueen’s Spring/Summer 1994 collection (Nihilism). Image: Pinterest. Feather print for Alexander McQueen, Spring/Summer 2003 (Irere). Image: Christopher Pearson / Cargo. Alexander McQueen Spring/Summer 2003 (Irere). 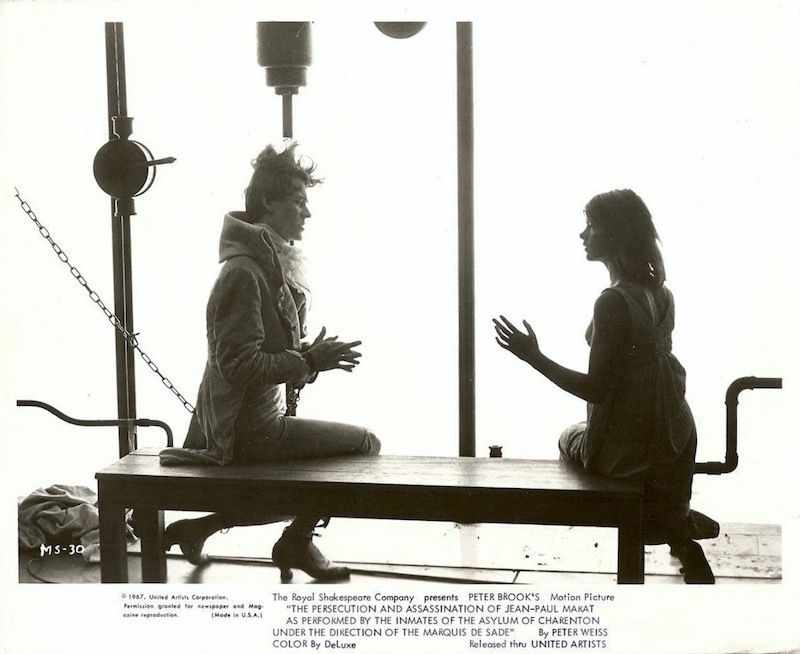 Models: Frankie Rayder and Roos van Bosstraeten. Images: style.com. Skull print by Christopher Pearson and Jennefer Osterhoudt for Alexander McQueen, 2002. Image: Christopher Pearson / Cargo. 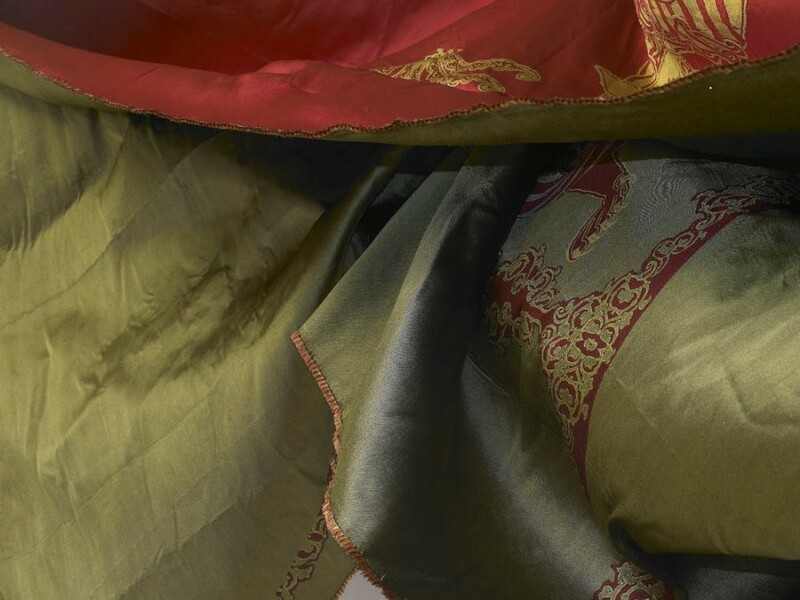 For McQueen’s later collections, the prints were produced by a team of designers that included textile design interns who might be hired back after graduation. From 2006 to 2011, the company’s head print designer was Central Saint Martins graduate Holly Marler, who is now head of embroidery, fabric, and print design at Temperley London. Alexander McQueen, Spring/Summer 2008 (La Dame Bleue). Models: Taryn Davidson and Viviane Orth. Images: style.com. 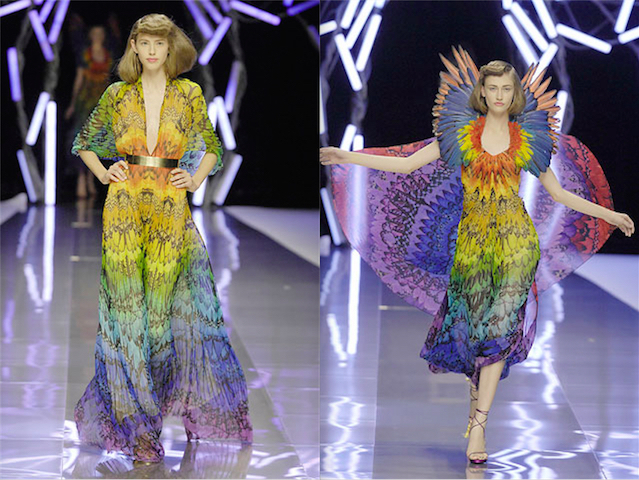 From a silk/synthetic ensemble by Alexander McQueen, Spring/Summer 2009 (Natural Dis-Tinction Un-Natural Selection). Image: Metropolitan Museum of Art. Alexander McQueen Spring 2009 ad campaign. Photo: Craig McDean. Image: styleregistry. Floral print design for Alexander McQueen Pre-Fall 2009; magpie houndstooth print design for Alexander McQueen Fall/Winter 2009-10 (The Horn of Plenty). Images: Saint Etienne / Cargo. Alexander McQueen Pre-Fall 2009 and Fall/Winter 2009-10 (The Horn of Plenty). Images: style.com. Alexander McQueen Spring/Summer 2010 (Plato’s Atlantis). Model: Karmen Pedaru. 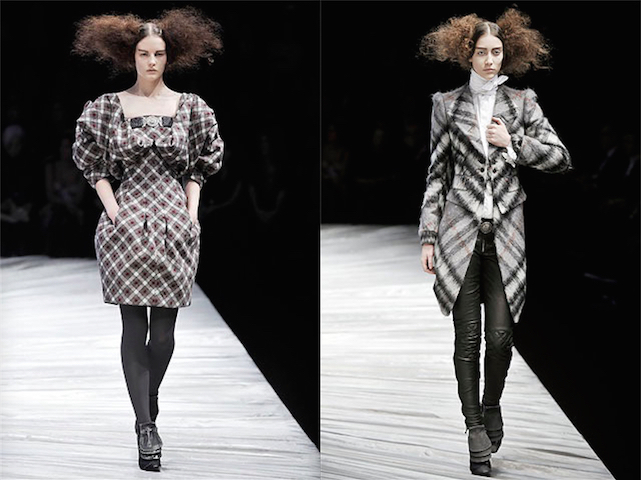 Images: style.com and Chinsky Cheung / Milk magazine via Augustine Wong. 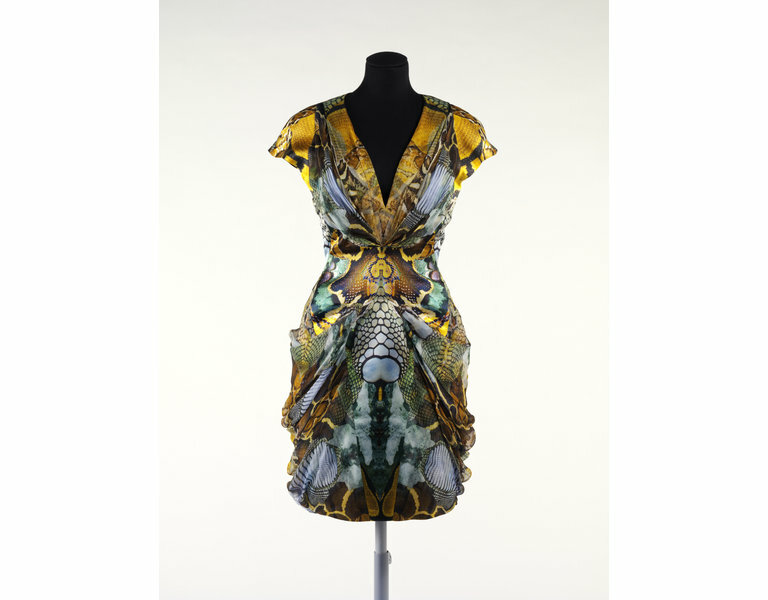 Dress, digitally printed silk satin and silk chiffon, by Alexander McQueen, Spring/Summer 2010 (Plato’s Atlantis). Image: Victoria and Albert Museum. 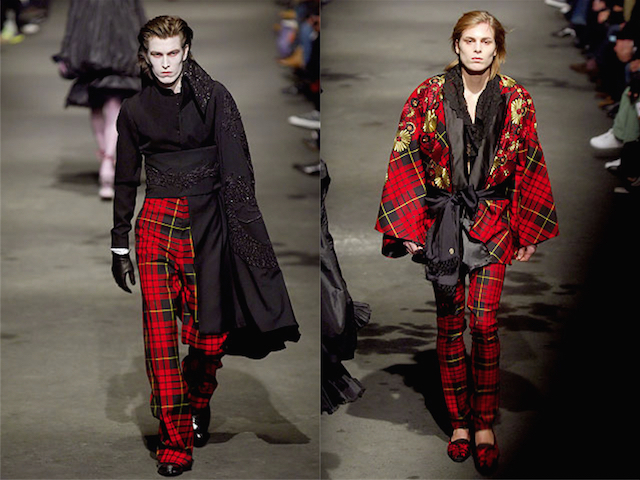 Two catacomb print looks, Alexander McQueen Fall/Winter 2010-11 menswear (An Bailitheoir Cnámh) and Pre-Fall 2010. Images: style.com, Alexander McQueen. Alexander McQueen Byzantine lion jacquard, Dazed magazine, October 2010. Photo: Richard Fairhead. Image: Dazed Digital. 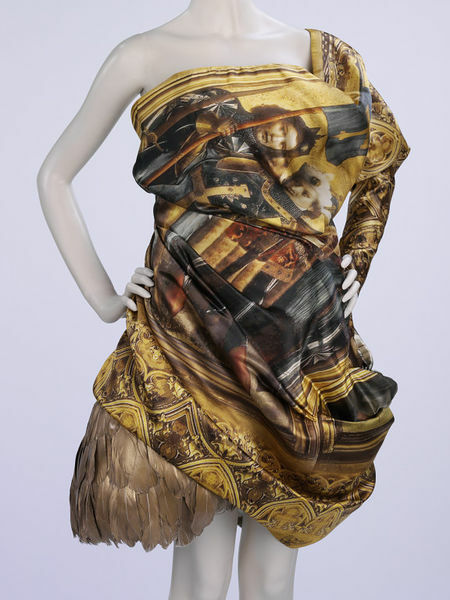 Dress, silk print based on Stefan Lochner’s Dombild Altarpiece with underskirt of gilded feathers, Alexander McQueen Fall/Winter 2010-11. Image: Victoria and Albert Museum. Jacket, Alexander McQueen Fall/Winter 1997-98 (It’s a Jungle Out There). Photo: Sølve Sundsbø. Image: Metropolitan Museum of Art. 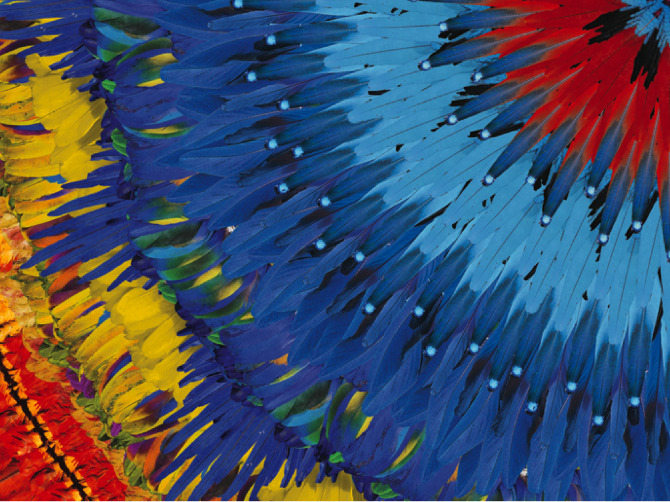 For more on digital prints, see the webpage for the Phoenix Art Museum’s 2013 exhibit, Digital Print Fashion (more in Corbin Chamberlin, “Phoenix Art Museum Embraces New Technology with ‘Digital Print Fashion’ Exhibit“). If you’re interested in designing your own digital prints, Kathryn Brenne recently wrote a primer for Vogue Patterns magazine’s February/March 2015 issue, and Melanie Bowles and Ceri Isaac have published a textbook on the subject, Digital Textile Design (Laurence King, 2nd ed. 2012). With thanks to Kate Bethune. 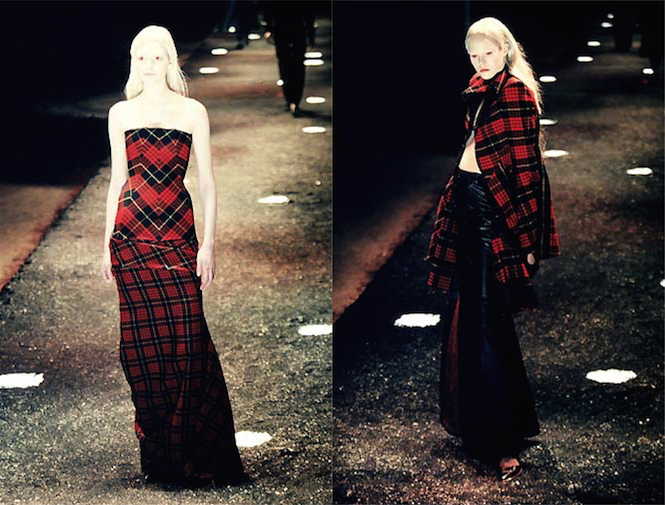 Next: Alexander McQueen and tartan. Vogue 2917 by Bill Blass (1973) Image: PatternVault shop. 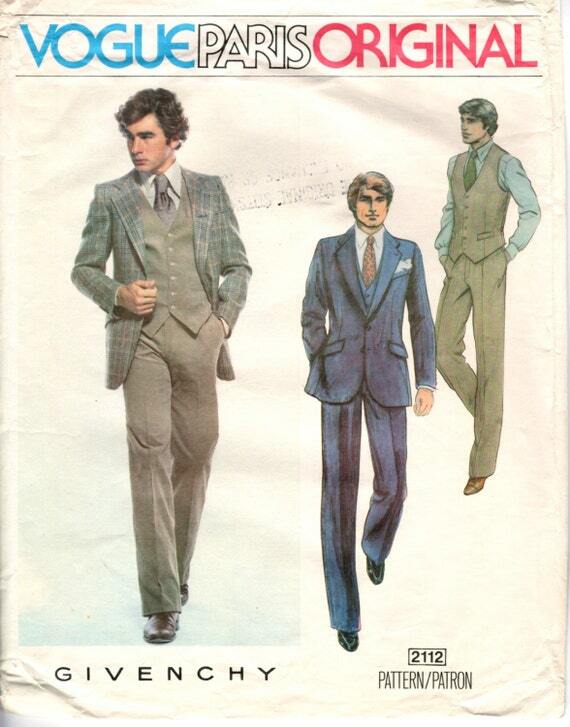 It’s been some time since Vogue offered designer menswear patterns. 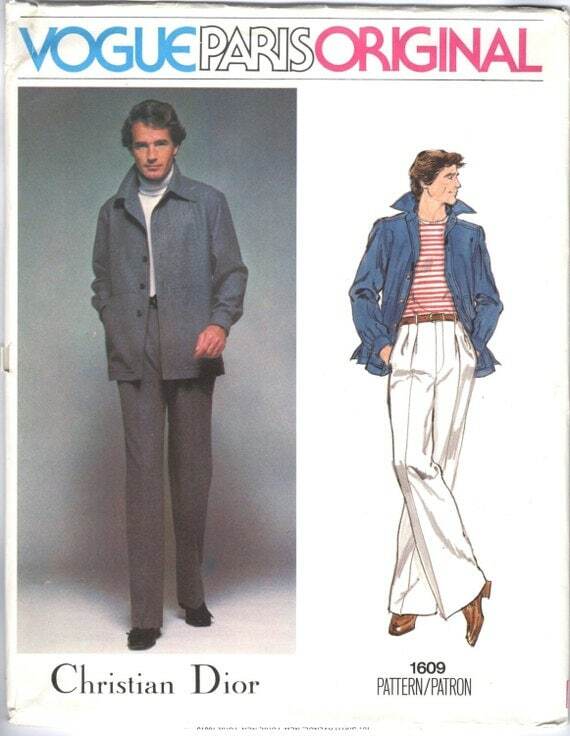 In the 1970s and 1980s, home sewers could choose from licensed designs for everything from men’s shirts to outerwear and three-piece suits. 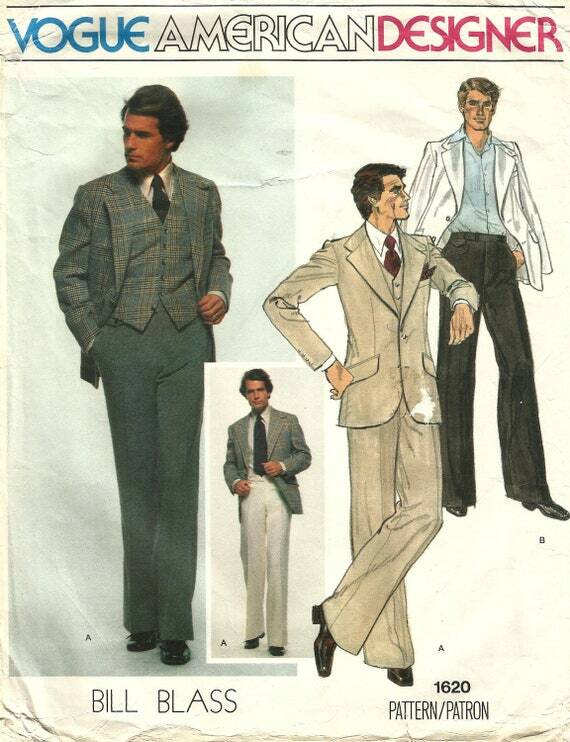 In celebration of Father’s Day, here’s a selection of vintage menswear patterns from Vogue Patterns. Vogue 2918 by Pierre Cardin (1973) Image: Etsy. 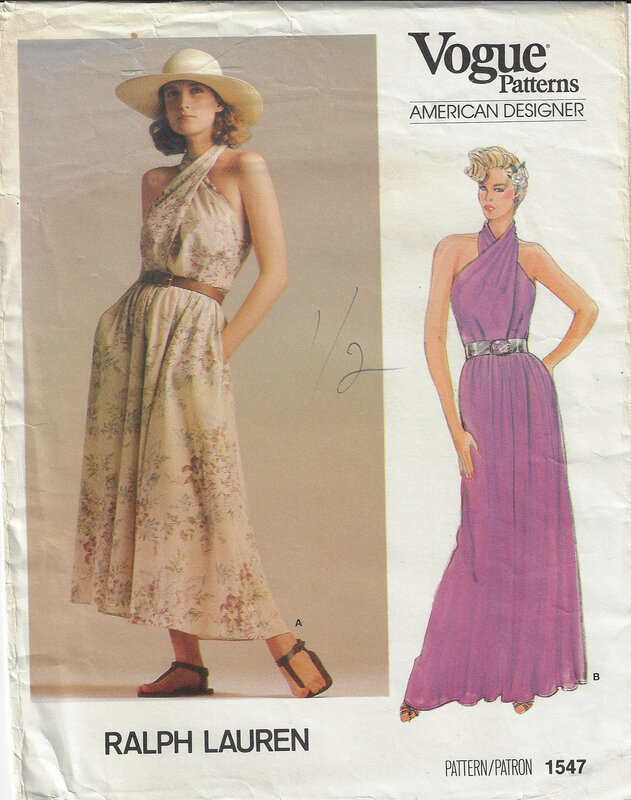 Vogue 1180 by Valentino (1975) Image: Vintage Patterns Wiki. Vogue 1609 by Christian Dior (ca. 1977) Image: PatternVault shop. Vogue 1620 by Bill Blass (1977) Image: patronescostura on Etsy. Vogue 1645 and 1644 by Yves Saint Laurent in Vogue Patterns, March/April 1977. Photos: Chris von Wangenheim. Image: Paco Peralta. Vogue 2112 by Givenchy (1979) Image: PatternVault shop. 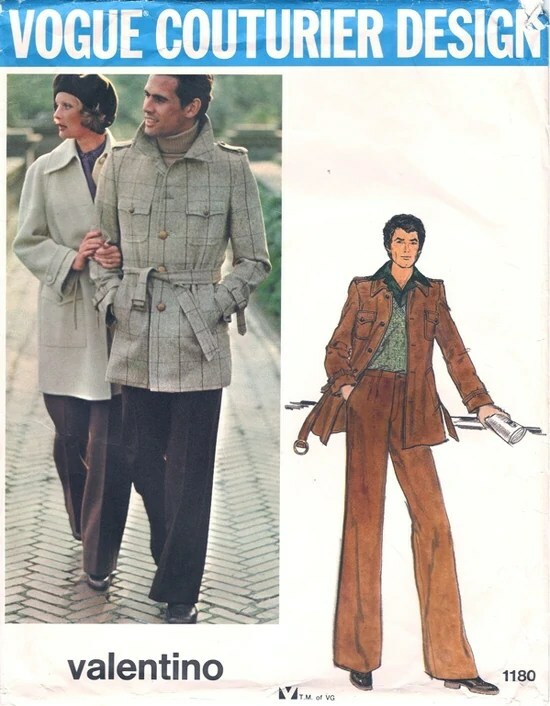 Vogue 2256 by Calvin Klein (1979) Image: Etsy. 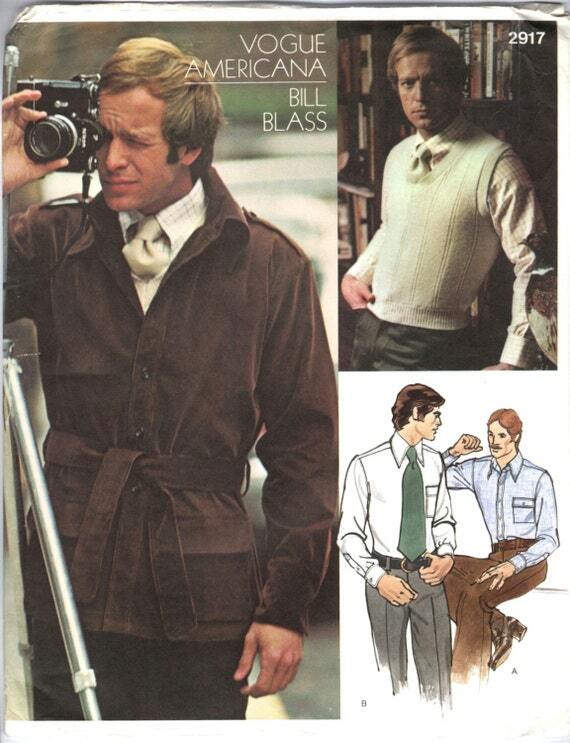 Vogue 2586 by Bill Blass (1980) Image: Etsy. 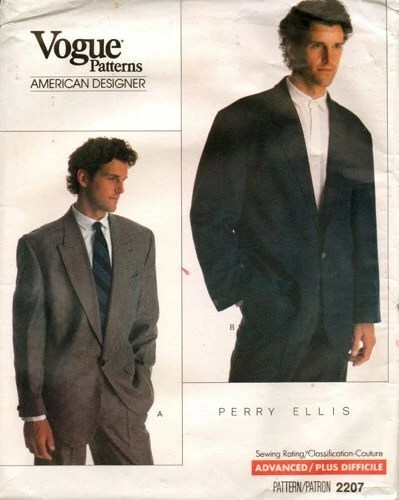 Vogue 2207 by Perry Ellis (1988) Image: Vintage Patterns Wiki. Vogue 2798 by Pierre Cardin (c. 1972) Image: Etsy.